Gingival (gum) Recession is the unsightly condition where the tooth root, formerly covered by gum tissue, becomes exposed. The tissue appears to be shrinking away from the tooth. It can be caused by infectious gum disease, trauma, or overaggressive tooth brushing. Many factors predispose one to gingival recession. One such factor is prominent tooth position. Very prominent teeth tend to have thinner bone and gum tissue over the root and are more easily affected by trauma. Like many other health conditions, genetics plays a role in predisposing one to gingival recession. There are two kinds of gum in the mouth, the very delicate type like we find inside the cheek or the tough type found on the roof of the mouth. Some individuals have a large quantity of the thick, tough kind of gum also known as attached gingiva, around the necks of the teeth. This tough attached gingiva withstands destructive forces better so we see recession on these teeth infrequently. Grinding the teeth (bruxism) contributes to recession in susceptible teeth. Notching of the root is commonly associated with recession associated with bruxism. The loss of gum tissue is unsightly but the loss of bone that happens concurrently is of greater concern. When significant loss of supporting bone occurs teeth become loose. Also the root of the tooth which has been exposed by recession has tiny tubules which communicate with the nerve of the tooth. Movement of fluid in these tubules causes the nerve to react and sensitivity occurs. 1. First control all infection. Visit your dentist at least twice a year so gum disease can be diagnosed and treated before significant gum and bone tissue is lost. 2. Use a soft or extra soft toothbrush to brush thoroughly but gently. Floss daily. 3. Control forces such as bruxism. Many styles of removable appliances can be made to accomplish this. 4. Grafting, the surgical repositioning of the tough attached gingiva from the roof of the mouth to the sites around the necks of teeth where this tissue is insufficient. Sometimes it is possible to cover the exposed root surface with grafted gum entirely as in the photos shown here. When root coverage is not possible we graft to prevent further recession. 5. Bonding the exposed root surface to improve esthetics and decrease or eliminate root sensitivity. “Staff is always wonderful and thoughtful. My teeth have never been better. High skill levels of all staff members. 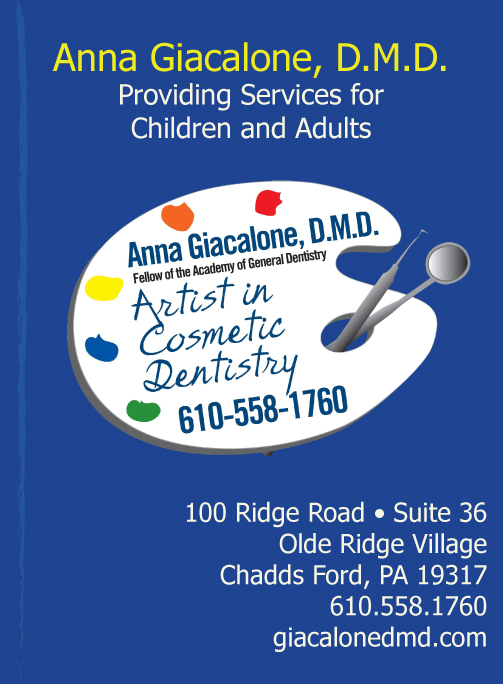 I’m a white-knuckle dental patient and appreciate their calming methods.” Susan K.
“I’ve been going to Dr. Giacalone for over 21 years and I could not be happier with the service over the years. You always feel like a valued patient and treated very professionally. 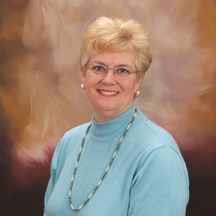 George C.
“ I trust Dr. Giacalone completely and like the work she does for me. The office is great and everyone is very professional and caring.” Michael F.
“ Treatment is great, well-explained, everyone is friendly yet professional. Relaxing environment, and a sense that the dentists really care about your teeth and your health, not just doing the job.” Catherine O. Recession is a very common finding in adult patients. While it is not always possible to prevent recession there are many methods of slowing its progression and treating the esthetic and sensitivity concerns. ← Previous Story What Is Acupuncture?